Whether you’re looking for a subtle change or a major alteration, choosing the right doctor for your cosmetic care is a very important decision. You deserve the highest level of expertise and service to help you feel at ease as you make important decisions about your body. That’s why the doctors and staff at Best Impression are committed to the superior service and skill provided to all of our patients in Bucks County. As highly respected, board-certified plastic surgeons, Dr. Robert Mirabile and Dr. Vivian Hsu bring over 40 years of combined experience to Bucks County. Their practice blends the most advanced comprehensive techniques with a caring and compassionate approach, resulting in patients feeling consistently content with results. From Botox® injections and Lip Fillers or Cheek Fillers to Coolsculpting®, Neograft® and more, our doctors are constantly evolving the quality and innovation of our care to help you quickly and safely achieve beautiful results and renewed confidence. This includes the ability to supplement our Neograft®, hair removal and facial procedures with result-enhancing PRP injections. No matter which of our non-surgical and minimally invasive procedures you choose, our doctors are the very best in Bucks County for helping you achieve your aesthetic goals. *In addition to our services listed above, we also offer Platelet Rich Plasma Injectables for our facial fillers and hair treatments to help enhance skin complexion and stimulate new hair growth. The measurement of our success doesn’t come from the number of procedures we perform each year, but instead the happiness of our patients and the difference in our results. If you’re considering cosmetic enhancements, we invite you to take a closer look at why both our conventional procedures such as Botox® or Dermal Fillers, as well as our cutting-edge techniques such as Neograft® or PRP injections are the very best in Bucks County. After careful research, we’ve selected the best, most innovative technology and products to help you achieve beautiful results and renewed confidence. Learn more about our most popular services as you make the decision to experience the difference of Best Impression Medical Spa and Laser Center for yourself. Despite continuing advancements in cosmetic medicine, our Botox® injections remain one of the most performed and popular skin treatments in Bucks County and around the country. Botox® injections help relax and soften “dynamic lines,” or wrinkles created by facial expressions, such as crow’s feet, forehead lines and more, with the added advantage of being non-permanent. Unlike Cheek and Lip Wrinkle Fillers which add volume, Botox® injections relax the muscle to prevent it from contracting, causing the overlying skin to relax and wrinkles to disappear. 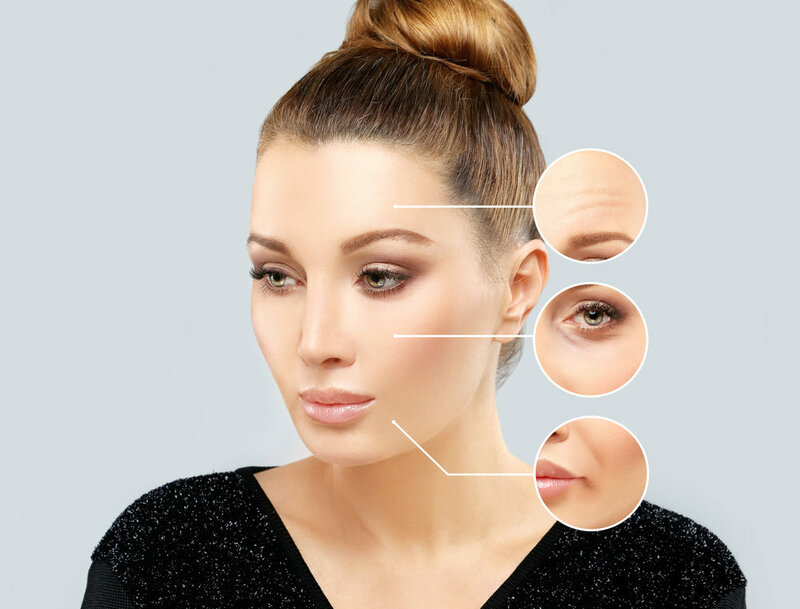 If you’re looking for a fast, non-surgical solution to minimize facial wrinkles and prevent the formation of future wrinkles, our renowned doctors offer the most effective Botox® injections in Bucks County. Due to the minimal recovery time and painlessness of the procedure, Dermal Fillers are the most common non-surgical solutions to improve contour and add volume to aging skin. Our doctors offer a variety of Cheek and Lip Wrinkle Fillers to patients in Bucks County looking for a dramatic lift, plump and rejuvenation of the skin. Our Lip Fillers and Cheek Fillers use a formula of hydrating and stimulating substances that lift and fill creases around the mouth, thinning lips, sagging cheeks and wrinkled skin around the forehead, eyes and mouth. Our surgeons are extremely well-practiced in the latest techniques for all treatments of Cheek and Lip Wrinkle Fillers, including Juvederm, Volbella and Voluma. These are just a few of the injectable treatments we offer in Bucks County. Thanks to NeoGraft®, thinning or receding hair doesn’t have to be a permanent problem. If you’re looking to restore the density and fullness of your hair, while improving the shine and manageability of thinning hair, NeoGraft® provides a cutting-edge solution for both men and women alike. Our doctors have helped many patients in Bucks County restore a natural looking head of hair through the most advanced technique in the hair loss industry. The NeoGraft® system delicately harvests and implants hair follicles through the revolutionary follicular unit extraction (FUE) technology. Patients who choose our NeoGraft® procedure achieve a thicker head of hair and fuller hairline with minimal recovery time and no linear scarring. Best Impression is one of the few medical spas in Bucks County to perform NeoGraft®, so you know you’ll be receiving the best care from our surgeons throughout your NeoGraft® treatment. For the removal of stubborn fat, CoolSculpting® by Zeltiq® offers a breakthrough solution with no needles, incisions, pain or recovery time. When traditional dieting and exercise aren’t enough to feel completely comfortable in your own skin, our CoolSculpting® procedure offers a natural way to lose fat around almost anywhere on the body. Through targeted cooling technology, our doctors will freeze away fat cells to destroy stubborn fat bulges and restore the contour in those areas. We take a customized approach to our CoolSculpting® procedures, helping you see a noticeable difference in as little as 3 weeks with continuing improvements until you achieve your desired shape. As one of the only medical spas in Bucks County to offer advanced Cellfina™ treatments, Best Impression can help you treat the primary structural cause of cellulite. Combining a proven approach with innovative, proprietary technology, Cellfina™ removes dimpling and puckering of the skin to deliver long-lasting, beautiful results. When you want to say goodbye to shaving, waxing and plucking, our Laser Hair Removal procedures feature state-of-the-art laser technology that can help you permanently remove unwanted hair, quickly and painlessly. Through innovative Palomar laser technology, our doctors can effectively target and treat any skin type and color without the use of injections or needles. You will receive customized treatments to match the hair color and thickness with the precise level of energy for optimal results in fewer treatments. Our surgeons perform all our procedures using the most advanced laser technology techniques to provide unmatched solutions for a variety of hair and skin treatments, including those for vascular lesions, spider veins, stretch marks and more. Book your consultation with our doctors to find the right solution for your aesthetic goals. Experience an unparalleled approach to Microdermabrasion from the estheticians at Best Impression. Our non-invasive exfoliation treatment uncovers smooth, soft and vibrant skin while reducing fine lines, uneven texture and other signs of aging. The procedure involves the use of natural diamond chips that remove and vacuum dead skin cells to reveal the fresh, healthy skin underneath. Talk to our doctors about combining your care with other medical grade treatments such as our Chemical Peels for the best possible results. With three different facials to choose from at Best Impression, you can find just the right treatment to clean, exfoliate, hydrate and protect your beautiful skin. Our Facials are a quick, refreshing cleanse, perfect for a midday boost, while our HydraFacials combine all the benefits of facials, peels and microdermabrasion into a single treatment for optimal skin rejuvenation. For a full hour of relaxation featuring our steam treatment, aromatherapy, facial mask and massage, choose the Deep Cleansing Facial, and enjoy complete revitalization. Platelet Rich Plasma (PRP) injections use the body’s own reconstructive powers to enhance the results of our facial and hair procedures. Made of growth-inducing proteins, Platelet Rich Plasma provides a non-surgical, restorative solution to stimulate hair growth and smoothen skin. Our surgeons use PRP injections tailored to your unique aesthetic goals as part of a comprehensive approach to your treatment. To prepare Platelet Rich Plasma injections, our PRP doctors will draw a small amount of blood through a centrifuge in order to isolate the Platelet Rich Plasma from the red blood cells. The PRP solution is then injected directly into the damaged tissue to enhance collagen production and other youth restoring features. Our doctors offer the best overall experience with cosmetic Platelet Rich Plasma injections in Bucks County. Our surgeons and staff are dedicated to providing the best comprehensive cosmetic care in Bucks County. Schedule a consultation with one of our staff, and find out all the ways in which you can become the best version of yourself at Best Impression.